After almost 16 years of using Escrow.com to acquire and sell domain names, I’m finally testing new territory. Escrow Concierge is my option of choice, as it allows me to entrust Escrow.com with the domain name, all while receiving the funds faster. I prefer to close domain transactions quickly; past the negotiation cycle I’m eager to seal the deal and “forget” about the domain. That’s the beauty of owning domain assets that one holds long term: once the right offer arrives, it’s time to bid them farewell and enjoy the proceeds. 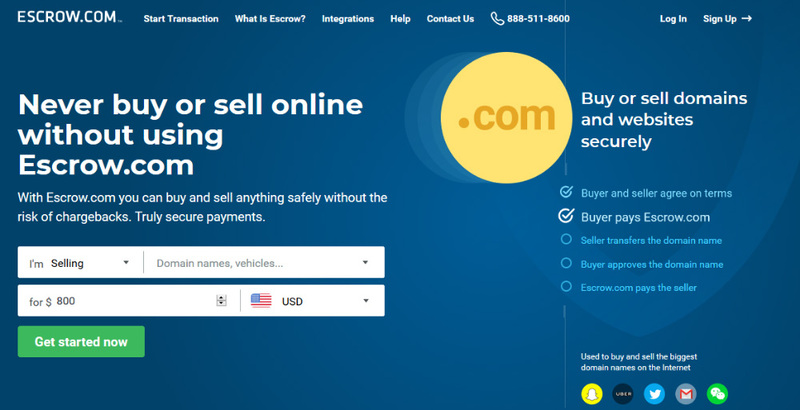 The decision to use the Domain Name Holding service at Escrow.com for the first time, was triggered by the buyer’s inability to fund the entire amount in one go. Getting the buyer from an $100 offer to thousands of dollars was the easy part. The buyer realized that my asking price was fair, and did not want to lose the opportunity to acquire the domain. Using the Domain Name Holding service requires some calculations, when passing on numbers to the potential buyer. Escrow.com fees are paid up front, along with the first installment. In this case, one third of the amount, plus the base fee and the holding fee. The minimum holding period is 3 payment cycles. E.g. first installment, followed by two monthly payments. You can find more info at the Escrow.com page. I’m definitely eager to explore this domain selling option at Escrow.com. While I’m confident that my buyer will complete the exchange, I also feel relaxed that if they don’t, they waive all payments made and I will still have the domain. Note: Escrow.com sponsors my publication DomainGang.com, however this article represents my personal experience with the company, as a long term customer. We did this recently on a $10,000 name we sold. Buyer made all but the last payment and defaulted. Escrow.com gave us all the payments made and our domain name back. Escrow.com worked like a charm even if the buyer did not. Logan – I remember you mentioning that. Obviously, that’s the downside for buyers that fail to fulfill their part of the contract.